These multitasking beauties can be worn on the face, eyes, cheeks, and lips. 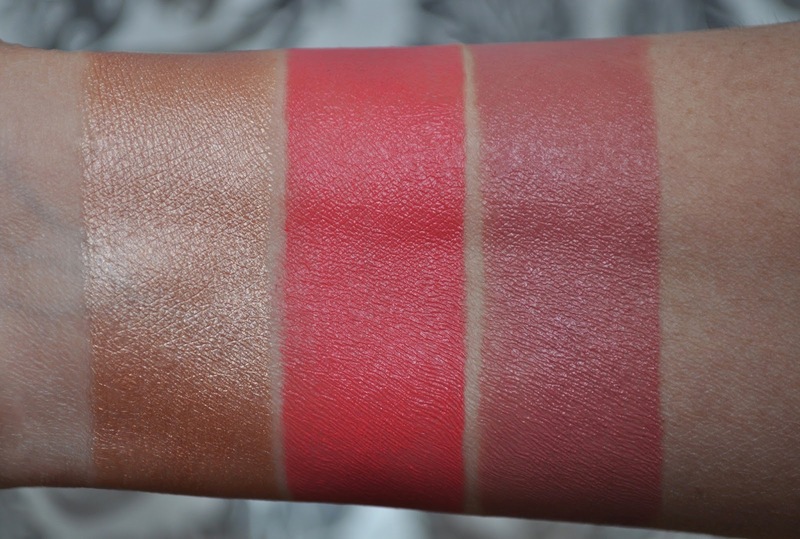 From left to right: Reflection, Noctune, African Sunset. 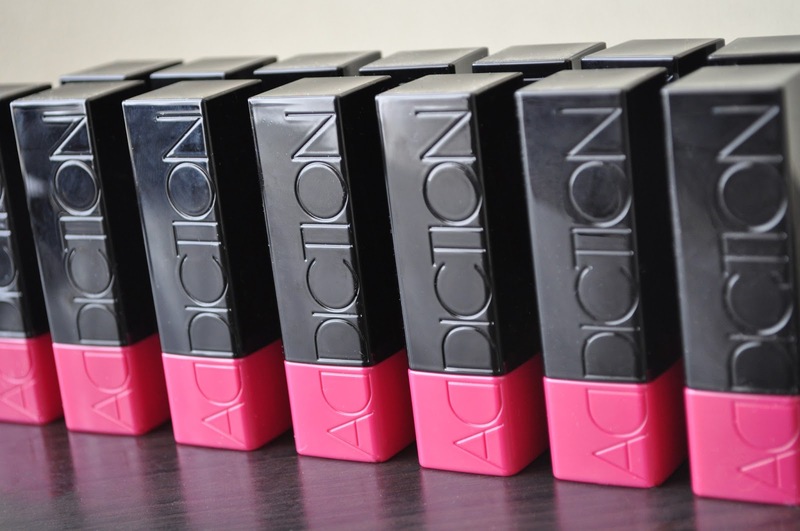 From left to right: Aqua Bronze, Revenge, Rose Bar. From left to right: Amazing, Suspicious, Romantic. From left to right: Sensually, Tea Rose, Neroli Flower. From left to right: Argan Tree, Damask Rose. Addiction by Ayako's Cheek Sticks retail for ¥2,940($32.55), and currently are only available in Japan. If you've tried these cheek sticks, please let me know your favorite shades. Wow.. I would so love to play in your makeup drawers Liz! You darling, deadly, divine woman! 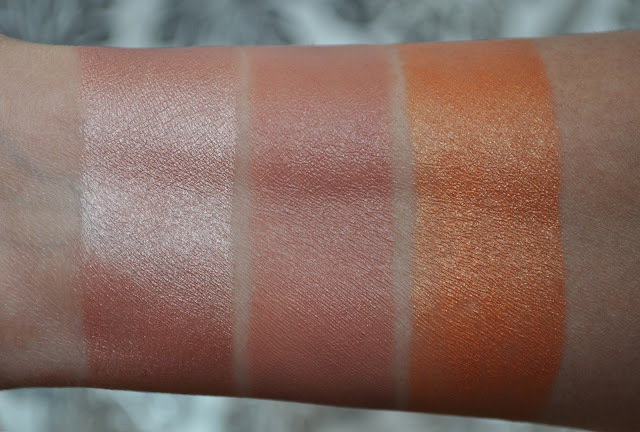 I was one of those who requested swatches, thank you so much for posting these! Beautifully done, as always! Yes you were :) Hope these swatches were able to help you with your purchase. What did you end up getting? You need Rose Bar! If you want me to get anything from you, just let me know Emi. Okay, I need Revenge. NEED. This collection is deadly and I love ou for it!! Can't believe these are only available in Japan! They look amazing -- need some in my life! These are amazing! I wish they was available in the UK. If you ever want to do a trade ;). Hehe. 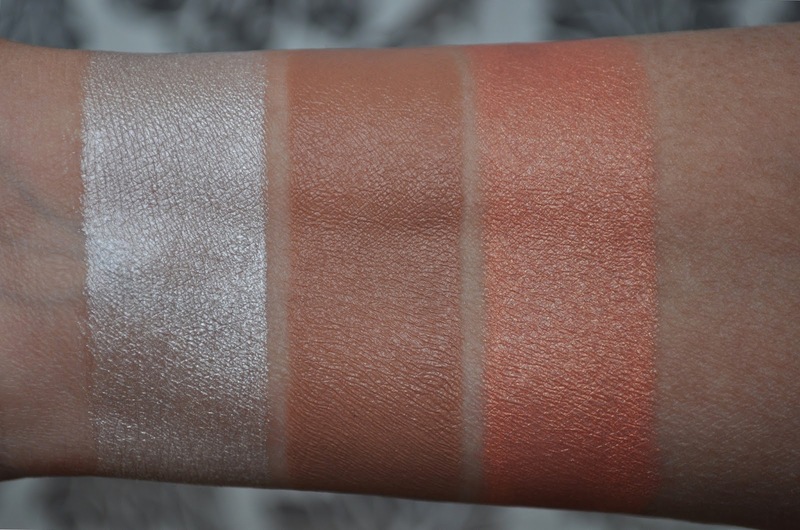 I love there is a range from high light colours, blush, and bronzers. They are gorgeous! Colorful wrists you have there Mrs Gorgeous! Thanks sooooo much for the effort you put into your AMAZING swatches!! I LOVE Addiction, and I already know that the limited edition Addiction palettes for Summer will be putting a HUGE dent in my savings! 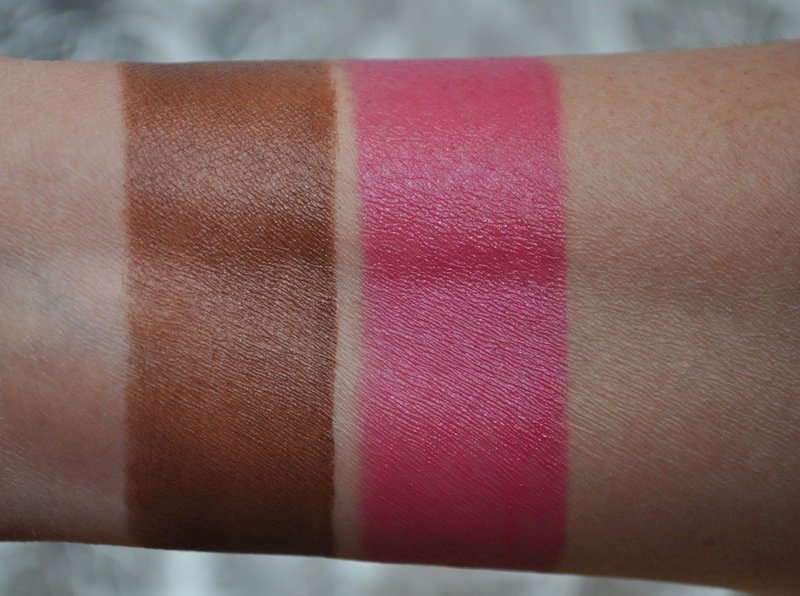 The Laduree mixed pressed cheek blushes for Summer also look so juicy & fresh. Clean up is hell, and my skin is always dry from all the washing. Addiction is going to have me in the poor house this summer!! Can't wait to get my hands on those palettes!!!! Ouch! I'm so tempted to order from Icihibankao, desite the high markup. I'm forcing myself to use up all of my old foundations, and lip/cheek stains first. Drool order, mostly matte, I think. 5. 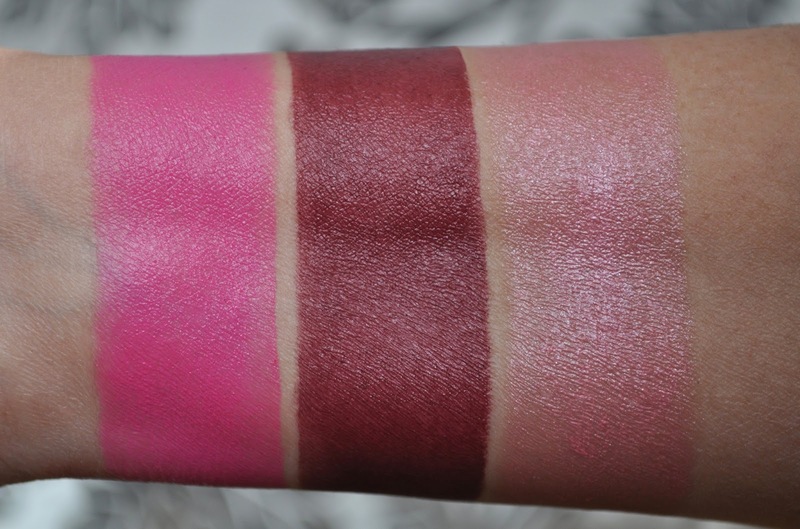 Amazing (looks a bit cool/bright and wonder if Damask Rose is warmer/more wearable for med. Asian skin?) Addiction addict advice appreciated. Thanks for this treasure of a post. I'm on a personal "no foundation/concealer buy" at the moment, and it's killing me!! Amazing is slightly cooler and brighter, but both Amazing and Damask Rose look stunning on med. Asian Skin. it just depends on your comfort zone. I can't believe this! I guess I'll be incredibly rude and selfish and ask for your help. I am in the US and have a Paypal account, if that is helpful. I've decided on Rose Damask over Amazing. Also, Tea Rose, Rose Bar and Revenge so 4 total. Life is short and it should be beautiful. Anyway, let me know how to proceed. Thanks so much!!!!! Addiction is only available here in Japan, but if you need help purchasing them, just email me. By the way, Love your blog! Running on Empty: January Empties! I Won't Tell, If You Don't!